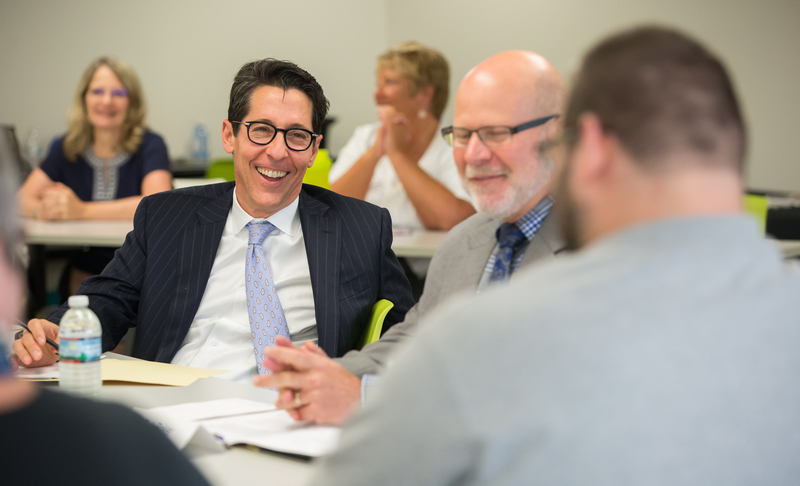 On August 3, Keystone Human Services hosted a roundtable discussion with PA Treasurer Joe Torsella, individuals with disabilities, and their families to discuss the PA ABLE Savings Program and how it gives people with disabilities the opportunity to save for their future. (Harrisburg) -- The state Treasurer is promoting a unique savings account for people with disabilities. The Treasury launched the PA ABLE program earlier this year. It allows people with disabilities and their familes to save for medical care as well as things to improve their quality of life, such as a service dog, education, or travel.